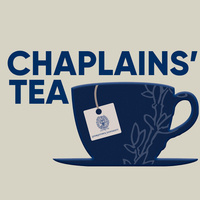 Join Campus Ministry's chaplains and staff and our guest, the Lannan Center for Poetics & Social Practice, for Chaplains' Tea. We'll bring the tea and snacks, you bring the conversation. Immediately after, please join us for the Prayer for Peace and Justice at 3:50 p.m.